May 23rd – 25th 2017 was the first time that Chieftain Fabrics exhibited at the Clerkenwell Design Festival. We have visited Clerkenwell Design week in the past, but this year’s experience was totally different. It was great to be a part of this prestigious event. Clerkenwell is an area of London which is home to many creative businesses and architects making it one of the most important design hubs in the world. 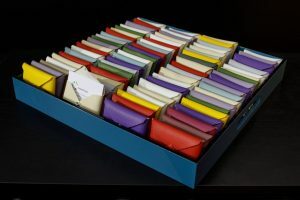 Clerkenwell Design Week was created to showcase leading UK and International brands which are presented in a series of showroom events, exhibitions and special installations that take place across the area. 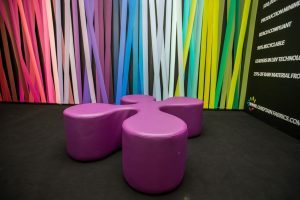 This year CDW celebrated its 8th year and it is clear that the award winning show has firmly established itself as the UK’s leading independent design festival. There were more than 300 exhibiting brands with over 34,000 visitors during the three days of the festival. We were proud to be part of this event. With so many companies without showroom facilities in the Clerkenwell area, it is fantastic to still feel welcome to exhibit in any of the pop up areas at the heart of the festival. 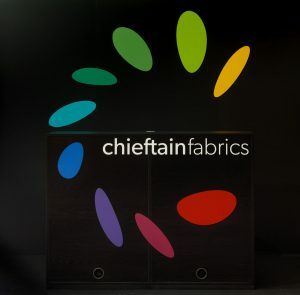 Chieftain Fabrics exhibited in the Project area of Clerkenwell and we can not recommend it highly enough. On the day before the show began the set-up ran like clockwork. Workers were onsite to help with lighting, carpet or any technical issues and were very obliging, nothing was too much trouble. The show organisers were always on hand from start to finish. Throughout the 3 days of the festival we met interesting people from both the UK and abroad. There was a constant buzz of people in the surrounding areas and everyone was there for the same purpose – to learn something new about design. We really enjoyed our time in Clerkenwell Design Week and it felt very special to be a part of the event itself. So much so, in fact, that we are looking forward to exhibiting at the event in the Project area next year.